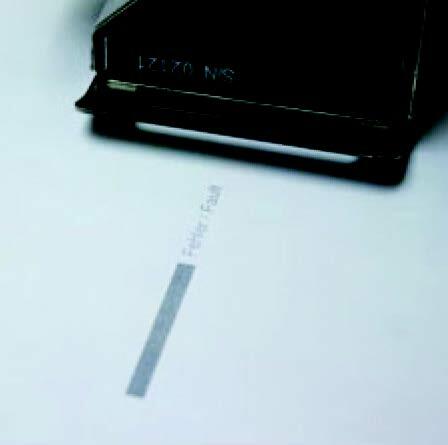 An international packaging printer wanted to print its marks more legibly while running at a full production speed of 1640 ft./min (500 m/min). They also wanted illegible marks sorted out before moving forward in the production process, including continuous meter and error marking. The packaging printer had an existing vision system, used to monitor print quality, and wanted to also use it for code verification. 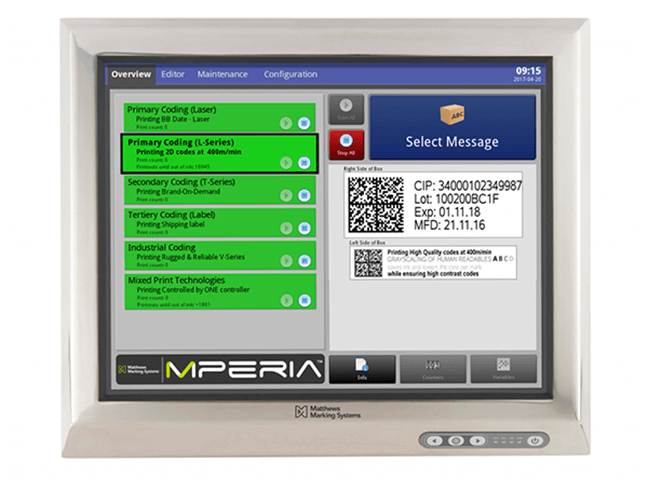 Matthews recommended the universal printing platform MPERIA®, combined with its high-resolution thermal ink jet printer, the VIAjet™ L-Series. MPERIA® allowed the customer to interface with their existing vision system to verify codes and switch between meter and error marking in real-time. The VIAjet™ L-Series ensured that even at high printing speeds, readable, alphanumeric codes would be printed. The compact construction of the entire system enabled a direct integration into the printing press. By combining the MPERIA® platform and the VIAjet™ L-Series printer, the customer was able to create a reliable printing and verification system at high printing speeds. This eliminated illegible codes from moving further along in the production process, saving the company time and effort to remove and reprint them. Thanks to the meter marking, errors can easily be localized. Utilizing the existing vision system also ensured a low cost investment.